JOHANNESBURG (AP) -- Oscar Pistorius' lawyer says the double-amputee athlete is selling the house where he killed girlfriend Reeva Steenkamp to raise money for his legal bills. 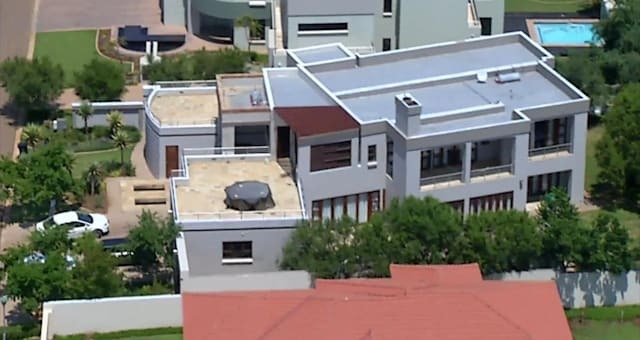 Lawyer Brian Webber said in a statement Thursday that it had "become necessary" for Pistorius to sell the villa in a gated community in Pretoria because his ongoing murder trial will go beyond the expected three-week duration. Webber adds that Pistorius has never returned to the house since he fatally shot Steenkamp in an upstairs bathroom in the pre-dawn hours of Feb. 14 last year. Webber says Pistorius "cannot contemplate ever returning to live there again." Webber says the house has remained "sealed" since it was handed back by police over a year ago. Pistorius is on trial charged with premeditated murder in Steenkamp's shooting death.